In these modern times where so much work and play is performed on computers, many people occasionally face the need to connect to the system of another user. 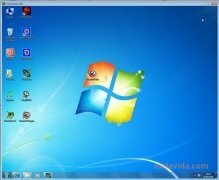 This could be for workmates to complete a team project or maybe for system administrators to repair technical problems that arise, for example. This is why we need an application that allows us to connect remotely to another computer. 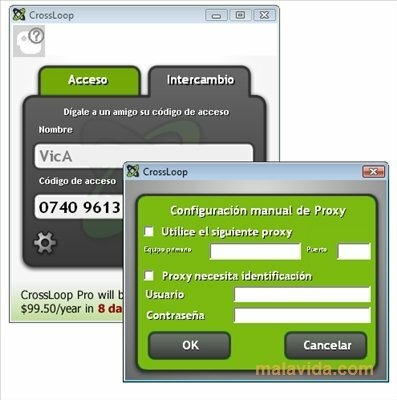 CrossLoop is probably the most simple choice when it comes to performing this kind of task, due to the fact that all that is necessary is to open the application, obtain a number that we will share with those that we want to connect to and that is it. It is also possible to send files to the users that we connect with, so that if it's necessary to send a document, this process is as simple as possible, without having to use third party software. Despite how easy it is to use, it isn't as agile as other more complex applications, but still, CrossLoop compensates its delays with ease of use. 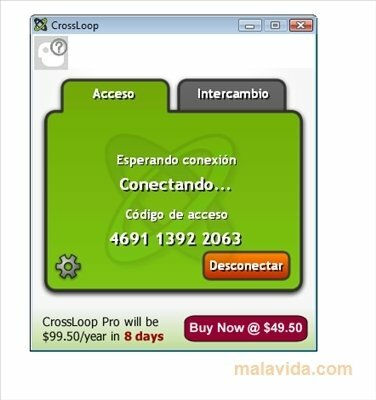 It is necessary to have an Internet connection and register to be able to use this service. The registration can be carried out directly from the application.